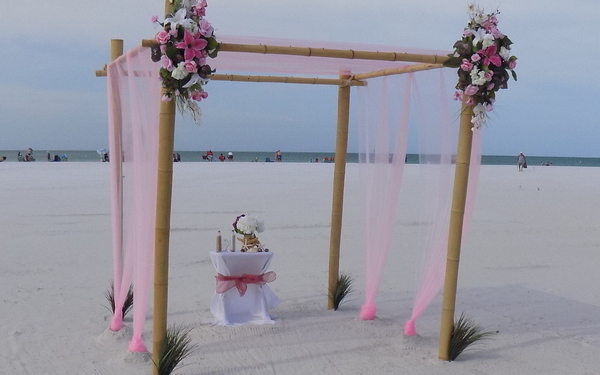 A beautiful 4 post canopy where you can mix and match colorful materials with any of our floral designs. 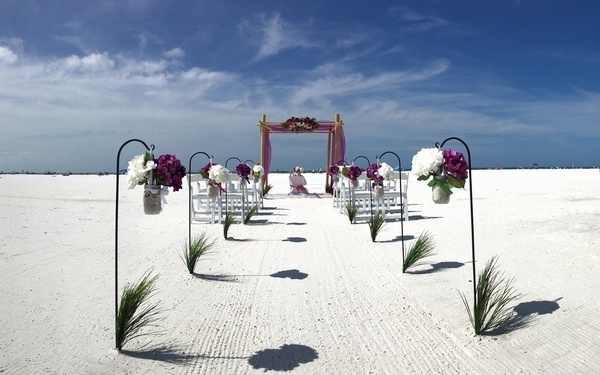 Choose The Lido key wedding package when you want easy coordination with your wedding colors….. just tell us about your colors and we’ll supply a beautiful coordinating fabric color or multiple colors to pick from. 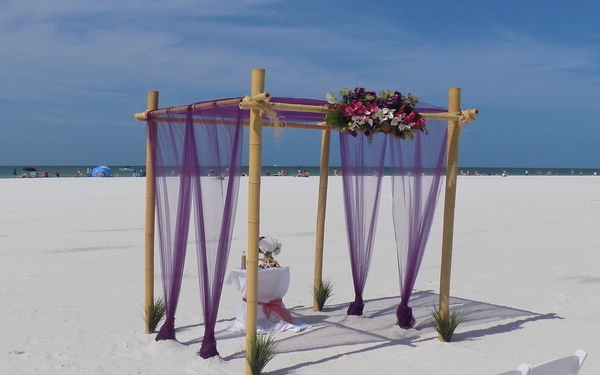 Start off with our 4 posted bamboo canopy, then layer it in colorful organza fabric. 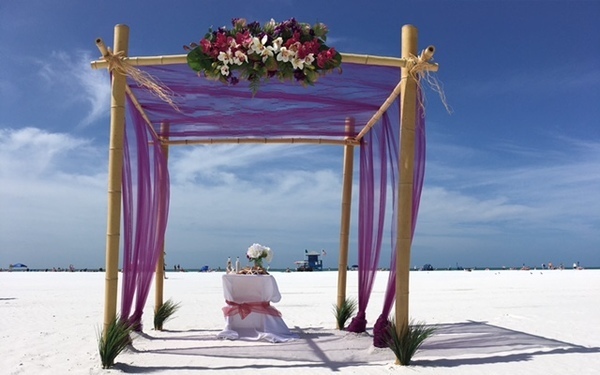 This beach wedding canopy is beautiful dressed in fabric alone or… The Lido key wedding package comes with a choice of floral arrangements to give your canopy an extra pop of gorgeous. 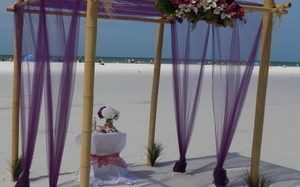 Also included in this package is one of our beach wedding officiants who will perform your wedding day ceremony & vows. 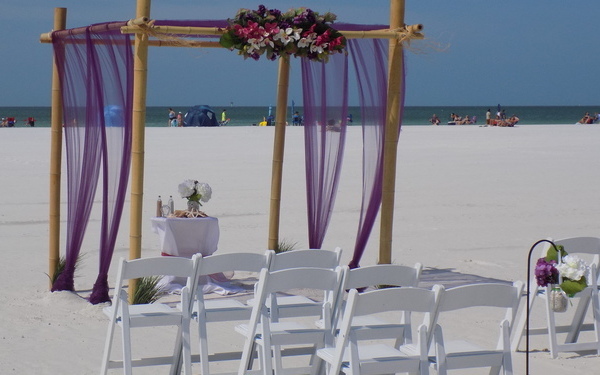 We sign and file your Florida marriage license back to the county clerk of the court as part of our service to you. 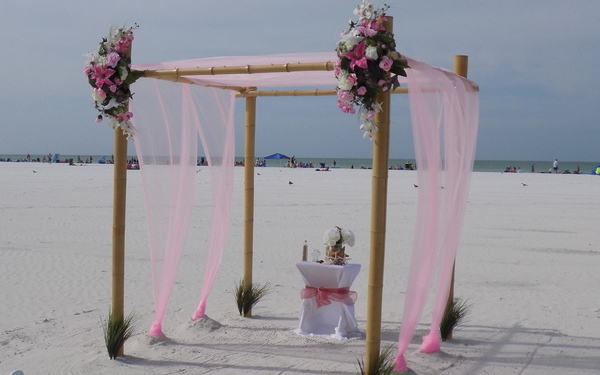 This ‘Lido key beach wedding package‘ is perfect for your Sarasota Wedding on the Beach, elopement ceremony or Vow Renewal Celebrations. 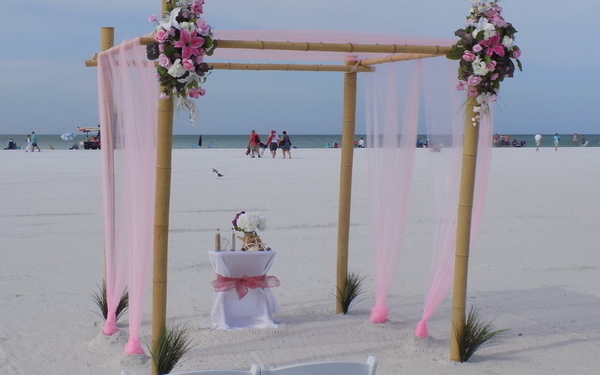 Serving all Sarasota, Lido, Siesta key & Venice Fl. 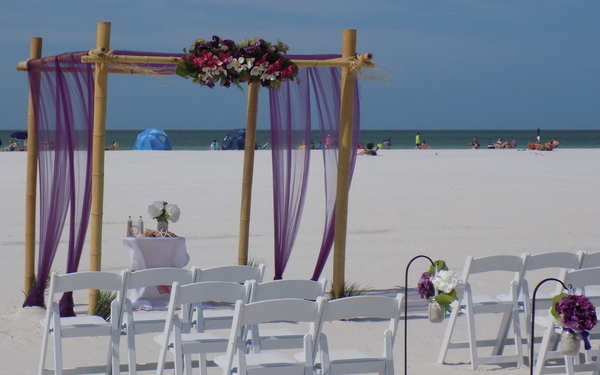 Beaches as well as all of the beautiful beach areas on Anna Maria Island. 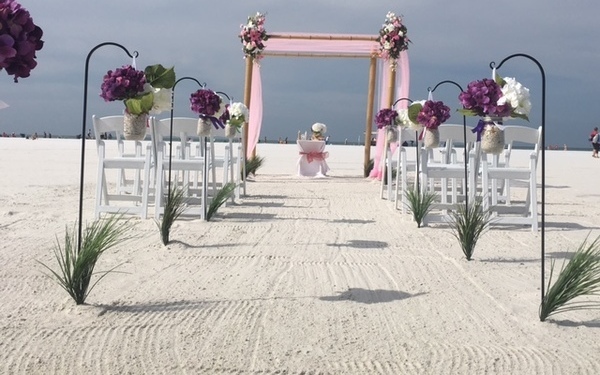 After the ceremony, we’ll get everyone up for a short walk down to the water for the Shell Toss & Blessing Ceremony; everyone gets included in this fun ceremony which also makes a great photo opportunity for everyone involved. 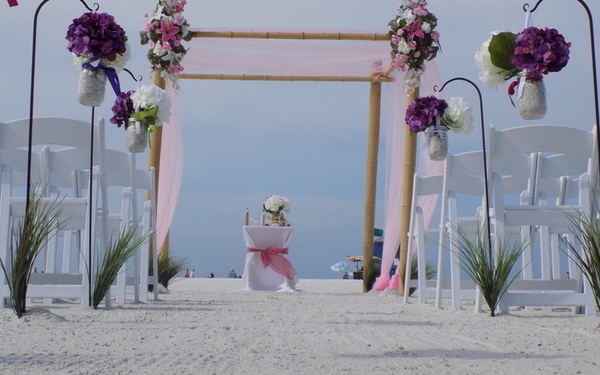 Beach wedding site planning and coordination are included in this wedding package. 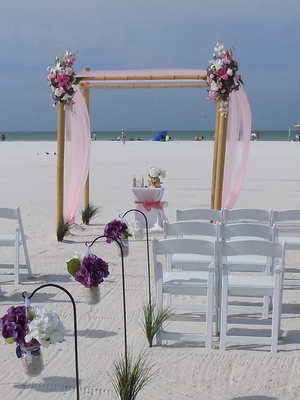 We provide 10 of our white garden chairs, now that’s cool comfort. 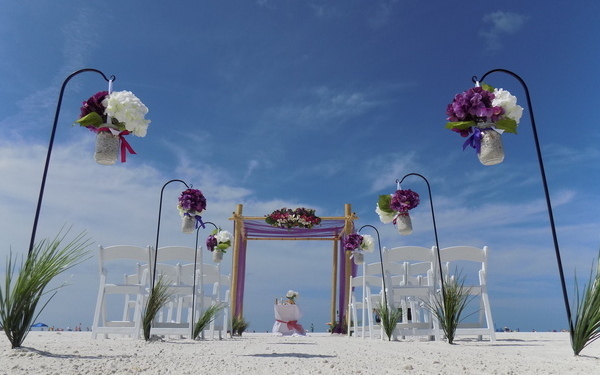 Don’t forget to add our optional professional wedding photography to be there & capture all the wonderful memories of your once-in-a-lifetime event. 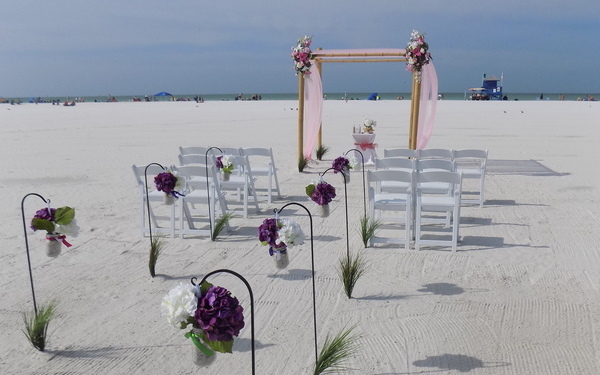 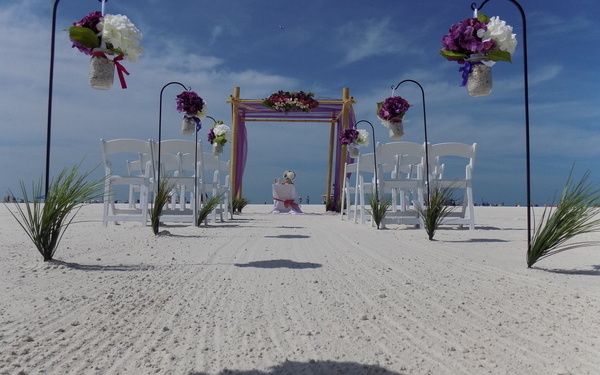 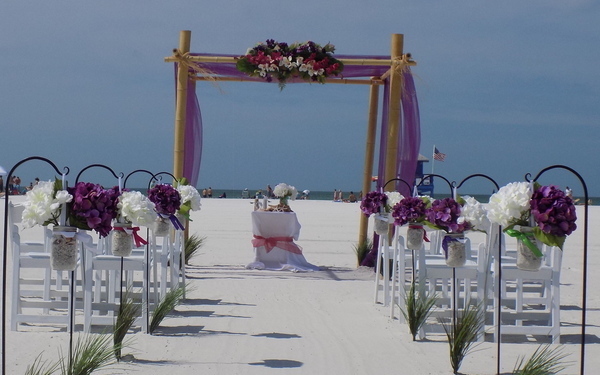 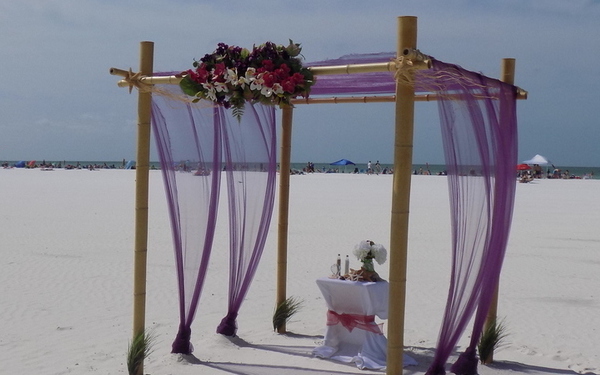 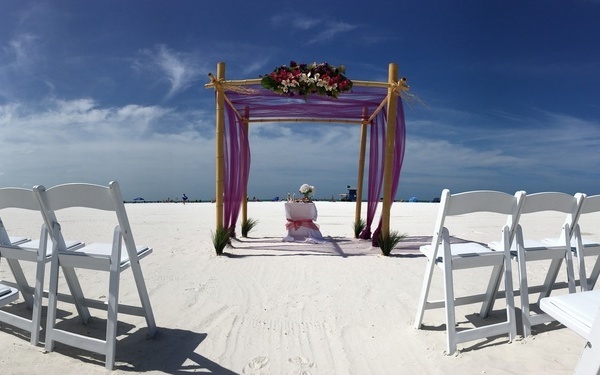 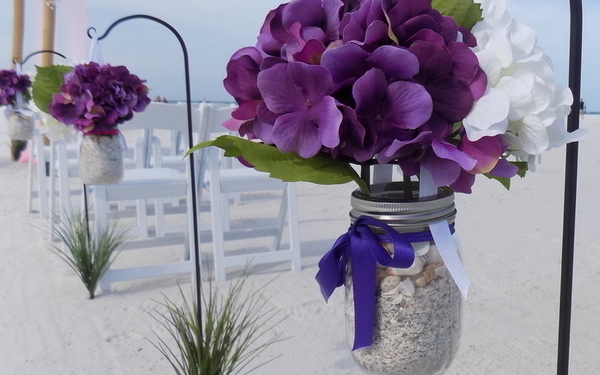 The Lido key Wedding Package for: Weddings & Vow Renewals on the Beach. 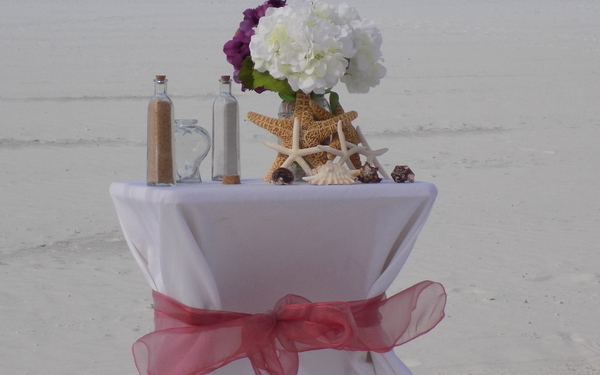 Ask us about pricing information on any wedding option.